Masticating VS Centrifugal Juicer : What is the Best Juicer in Market? Masticating VS Centrifugal Juicer : Which one You Should Buy? Are you thinking to buy a good quality juicer from the market? But you might get confused to decide which type of juicer you should buy. 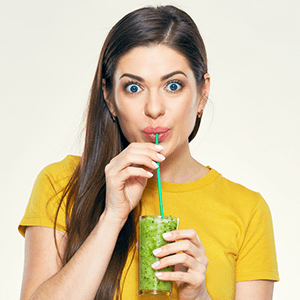 For this reason, I am presenting you an article with the information and difference of masticating vs centrifugal juicer to help you out of this problem. 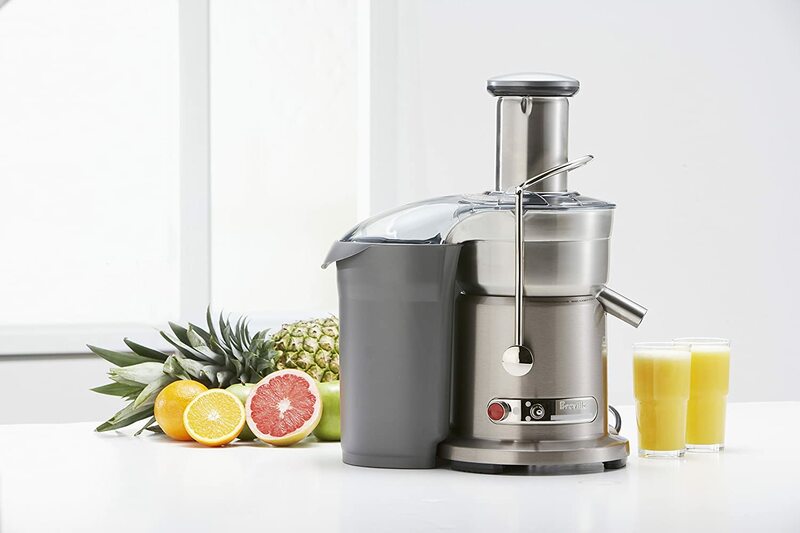 Additionally, these are the most popular types of juicers in the market. Hope, it will help you to select the juicer that you require. Centrifugal juice extractors are the most common type of juicer in the market. Firstly, it has a sharp metal blade which spins very fast against the mesh filter to extract the juice out of the fruits. Secondly, the juicer uses centrifugal force in this mechanism. 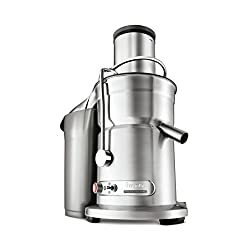 Also, honestly speaking, there is a little bit problem with this type of juicer is that it produces heat because of the fast spinning of the metal blade. As a result, it reduces the amount of nutrient element in the juice. On the other hand, masticating juicers keeps the nutrition of the juice high. I will discuss this fact in the next paragraph. I tested the Breville 800JEXL Juice Fountain Elite 1000-Watt Juice Extractor for centrifugal juice extractor. The mechanism of juicing of masticating juicers is quite different from the previous one. Firstly, it extracts the fruit or vegetable juice by crushing it. Secondly, it presses it continuously until the highest possible juice extracts from it. Also, the best thing of this type of juicer is, it will keep the nutrient element of the fruit or vegetable mostly intact. Besides, it doesn’t produce much heat. 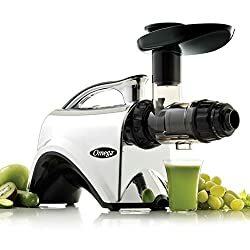 I used Omega NC900 HDS Nutrition Center Juicer to try the masticating juicer to identify the breakdown of masticating vs centrifugal juicer. After trying the above-mentioned juicer sand making a good research on them, I differentiated them. Now, here is the breakdown between them. Nutrition Elements As you see, its high-speed spinning blades generate some heat. It destroys the enzymes of the fruit. Besides, it also oxidizes the nutrition elements of the fruit which causes the reduction of nutrition of the juice. Conversely, masticating juicers doesn’t produce any type of heat while crushing and pressing the fruits. As a result, the nutrition of the juice remains intact. Processing Leafy Greens These juicers are not efficient for extracting juice from leafy greens. On the other hand, very efficient for making juice from green elements. Processing Nuts It can’t extract juice from nuts. Oppositely, greatly efficient for making milk from almond or cashew. Noise Noises like blender during juicing. Whereas, it doesn’t create any noise. Pulp Less pulp. On the other hand it produces much pulp. When you are using a juice where you apply heat eventually like cooking or baking, you can use this type of juicer. Because heating during juicing will not bother you. You don’t concern about the nutrition of the juice. Also, you are low on your budget. You like fresh juices. Also, if you like milk extracted from cashew or almond and juice of green leaves. Also, you want to get the maximum amount of nutrition from the juice. Your budget is enough to afford this high efficient juicer. Lastly, I can say that my research and experience based article will certainly help you to choose the right juicer for you from the market. Besides, the breakdown table of masticating vs centrifugal juicer will help you to differentiate the functionality of them. Hence it will eradicate the confusion of choosing the suitable one for you. Is it Better to Eat your Vegetables or Juice Them?